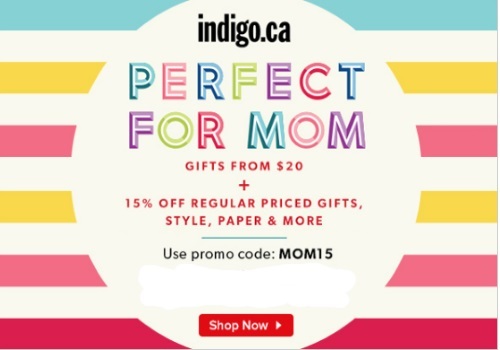 Chapters Indigo is offering 15% off regularly priced gifts, style, paper and more just in time for Mother's Day with the promo code below! Enter the promo code MOM15 at checkout to get the discount. Offer valid until May 2, 2016. Plus get 10x the Plum Points when you spend $30 or more, in-store and online for a limited time.